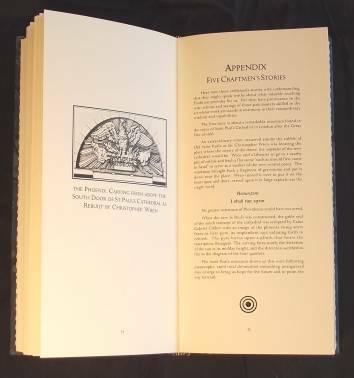 Nigel Pennick, The Ideal Tower, Society of Esoteric Endeavour 2018, numbered limited edition of 120 copies. 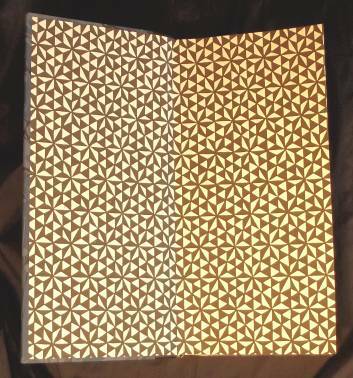 (31.5cm x 16cm, 134pp Illustrated, 160 gm mould made paper with natural texture, decorated endpapers, dustwrapper). The mystical tower is an archetype expressing human aspiration to the Divine. This book describes that archetype and some of its incarnations in actual towers of stone. Beyond this, the book - in itself - makes manifest the archetype! It is the nature of stone towers to be unchanged as the skies around alter in a manner that is never random, but beyond our control. 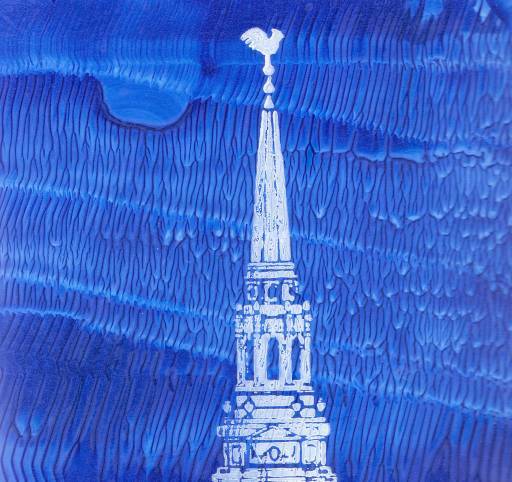 This principle is expressed in the dustwrapper where the tower is created by block printing against a background created by "decalcomania", a technique used by surrealists such as Max Ernst and Ithell Colquhoun to introduce automatism into their work. The resulting patterns can have a strange appeal to the eye, perhaps because they can exhibit a natural tendency towards fractialisation, whereby the same branching pattern reproduces itself at different scales. As skies vary so the variation produced by decalcomania has been embraced. There is no text to distract the eye. The paper used is, befitting the subject matter, primarily made from stone! Marble to be specific. This has been sandwiched between transparent film and cartridge paper, but a panel can be touched and seen on the inside of the part of the wrapper covering the front board. 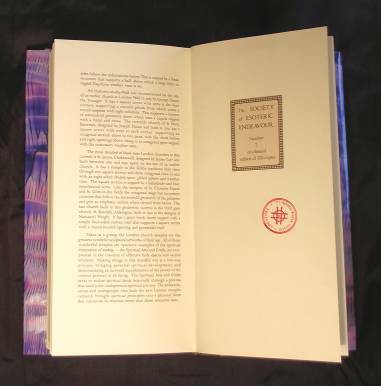 Such a substantial dustwrapper is required to protect other books on the shelf from…. 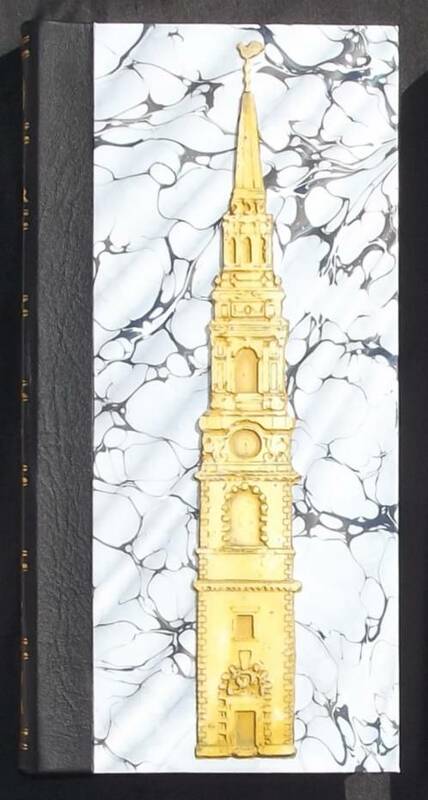 The Ideal Tower becomes incarnate, emerging in three dimensions from the front cover of the book. It is, mostly, made from stone, being marble dust bound with a resin. It has been given a light wash of ochre and other pigments to emphasise the relief. The weathervane is made of bronze (dust bound with resin). The sky in the background is now represented by one of a variety of traditional marbled paper designs prepared by Kate Brett of Payhembury Papers. 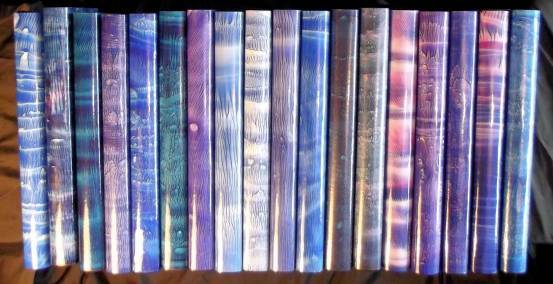 As the sky is beyond the control of the builder so the selection of paper was placed beyond the control of the publisher, and Kate was invited to supply a variety of traditional marbled designs that seemed somewhat reminiscent of skies. 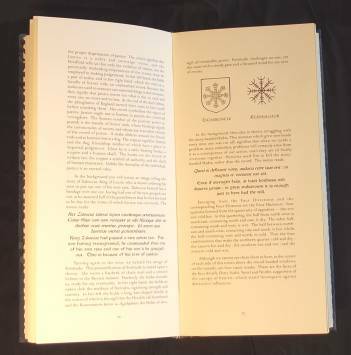 It has a quarter lambskin leather binding. The reader is led into the tower and up through its stages, the Vertical Pilgrimage. 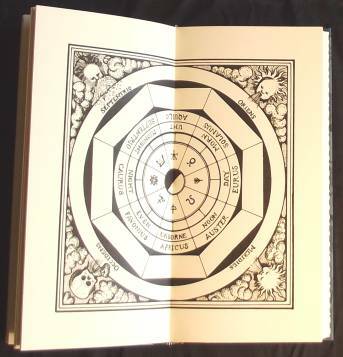 At each level the symbolism and sacred geometry is described and illustrated with a series of two page diagrams, the format of the book giving a one foot square double page spread. The relevant traditions of the esoteric nature of the compass directions and the associated lore of the Winds are explored. These principles, which inspire European architecture, stretch back to the Classical times and earlier, its roots include pre-Roman Etruscan religion. But they express a relationship between humanity and the Cosmos which is universal. Thus the Ideal Tower functions as a shared mind-temple by which we can relate to the Universe. It is a mind-temple made real, both by this book itself and in the form of those actual historical towers that make manifest its principles. The latter are discussed in Book II which deals with a particular flowering of sacred tower building prompted by the Great Fire of London. The numinous nature of these churches has, by no means, gone unnoticed. They have inspired some of the best known psycho-geographical speculation in the form of poetry and fiction, notably Ian Sinclair's Lud's Heat and Peter Ackroyd's Hawksmoor. It should be noted that both gentlemen are major figures in contemporary British literature. 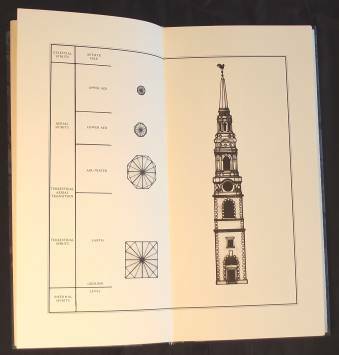 Both discern occult mysteries relating to the London churches built by Hawksmoor, Wren and their colleagues. The Ideal Tower explains the esoteric principles that these architects used to create the buildings that later generations were to find so compelling and so mysterious. The occultism described in this book is a refreshing addition to the familiar themes of the majority of esoteric books which, though interesting, tend to be culturally marginal, and so do not give rise to so many buildings that can be visited in Central London! This work is the fruition of decades of research, both scholarly and artistic, which generated numerous images and diagrams. Needless to say the tower format of the book is perfect for their presentation. 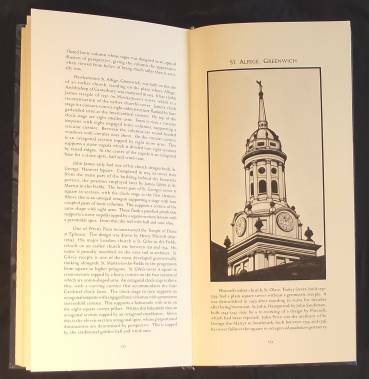 The number of each copy is recorded on an individually printed bookplate tipped in on one of the blank pages towards the end of the book which also bears the endorsing stamp of the Honourable Guild of Locators. Regret all copies of this title have now sold.